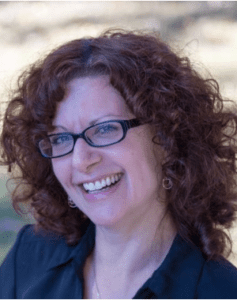 Marsha is a Licensed Mental Health Counselor with a private practice in Cornwall, NY, who specializes in helping people with anxiety, depression, trauma, addiction, and related concerns. Prior to starting her practice, Marsha worked with a broad range of issues in intensive outpatient programs as a therapist and clinical supervisor. She has worked with individuals, families, and groups, and presented at conferences including the New York Mental Health Counselors Association (NYMHCA) and the New York Association of Psychiatric Rehabilitation Services (NYAPRS) conferences. Marsha’s main therapeutic modalities are Accelerated Resolution Therapy (ART) and cognitive behavioral therapy (CBT). She also considers self-compassion, mindfulness, body relaxation, visualization, and developing a nonjudgmental perspective as additional, essential elements of effective therapy. In addition to her Master’s in Psychology from Marist College, Marsha’s certifications include ART Trainer and Master Practitioner, Rational Living Therapy – Level 3 (CBT), Clinical Trauma Professional (CCTP), and Integrated Mental Health/Addictions Treatment Training (IMHATT) from Columbia Psychiatry and the New York State Psychiatric Institute. In 2011 she began developing a multisensory approach to CBT (MCBT) which is currently being outlined in a workbook for clinicians. Marsha is equally enthusiastic about helping individuals meet their therapeutic goals, and about sharing ART and CBT with other clinicians. Since seeing consistent and remarkable results with Accelerated Resolution Therapy, she believes that every clinician would benefit from adding ART to their therapeutic tool-boxes. She is grateful for the opportunities to use ART as a therapist, and to teach ART as a trainer.